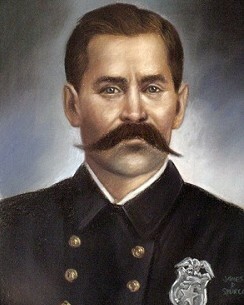 Officer Cassee Brewer was shot and killed while attempting to arrest a man for slander at the Union Depot station. While talking to the man the suspect pulled out a large caliber handgun and began firing, striking Officer Brewer. The suspect was later apprehended and hung for the murder. Officer Brewer had served with the Dallas Police Department for three years. He was survived by his wife and children and is buried at Trinity Cemetery. 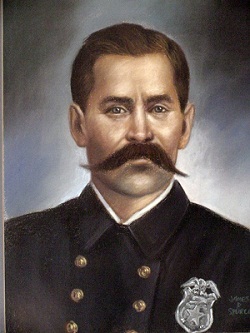 On today, the 126th anniversary of your death I would just like to say thank you for your service and sacrifice for the citizens of Dallas. And to your Family and loved ones, I wish to extend my deepest sympathy.